In our previous blog we addressed how to improve the customer experience on your website, an important start to prevent customer abandonment. In this blog we address the tools available to support the onboarding process that customers access once they decide to purchase. 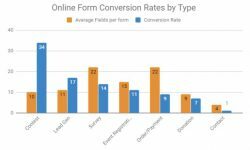 While conversion rates vary in terms of the type of form that customers fill out (contests have a much higher conversion rates as opposed to providing contact details), what is consistent, is that the more information fields on the form, the less likely people will complete them. So, while forms are often used as an information gathering exercise, if your primary goal is to sell, than be highly selective on the questions that your going to require your leads to fill in. Ensure that application forms are no longer provided in PDF format, but are fully digital. There are numerous benefits to fully digitized forms. Data is continuously auto saved and therefore never lost, customers can switch between devices or channels and never have to start the form from the beginning. If well integrated, customer details can be automatically populated to an application form. This reduces the number of fields a customer needs to fill in, increasing their probability of completing the form by as much as 85 percent. Digital forms can be designed to be highly dynamic by incorporating contingent elements such as; and, or, if, more than, less than, equal to, etc. This enables subsequent screens shown to a customer can be varied according to their circumstances. For example, mortgage loan application form, if the customer puts in a certain income bracket, according to the logic set by the administrator, the next screen may be the relevant interest rate offer. The ability to customize the self-service journey, keeps the process short and seamless. Perhaps what is most important is ensuring that human interaction with a live agent is always available. While the features mentioned above are designed to keep onboarding processes short and sweet with optimized self-service, there are times when customers want to speak with a human being. There are numerous reasons; obtain confirmation, make a dispute, seek more information. If they’re unable to speak with a human being, they’re undoubtedly going to abandon the process. Therefore it’s critical to enable live human interactions with an agent at any point in the customer journey to acquisition. Furthermore these live interactions needs to be optimized to ensure resolution. 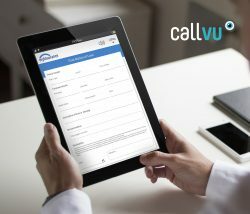 Agents can be provided with tools that work in real time to support their collaboration with customers. Features include the ability to share screens, co-browse documents, host live video chats and exchange rich media. This higher level of collaboration provides an added clarity that would otherwise only be available in a face to face interaction, ensuring any issue, no matter how complex, can be easily resolved.